On Monday night, Liverpool and Manchester United meet at Anfield in a fixture widely regarded by supporters and players as fiercer and more important than the clubs' respective city derbies. Both teams have enjoyed dominant periods in the top flight – Liverpool before the dawn of the Premier League – but now are bidding to recapture past glory after relatively fallow periods. This season's clashes will have added spice with Liverpool's Juergen Klopp and United's Jose Mourinho – two of the world's most highly regarded managers – trying to outwit each other in a battle that is sure to add to the list of great matches. Here are five memorable clashes bwetween the archrivals. The two Premier League matches between the clubs in the 2011-12 season highlighted the worst of feelings on the pitch. After their meeting in October 2011, Liverpool's Luis Suarez was banned for eight games after being found guilty of directing racist abuse at United's French full back Patrice Evra. 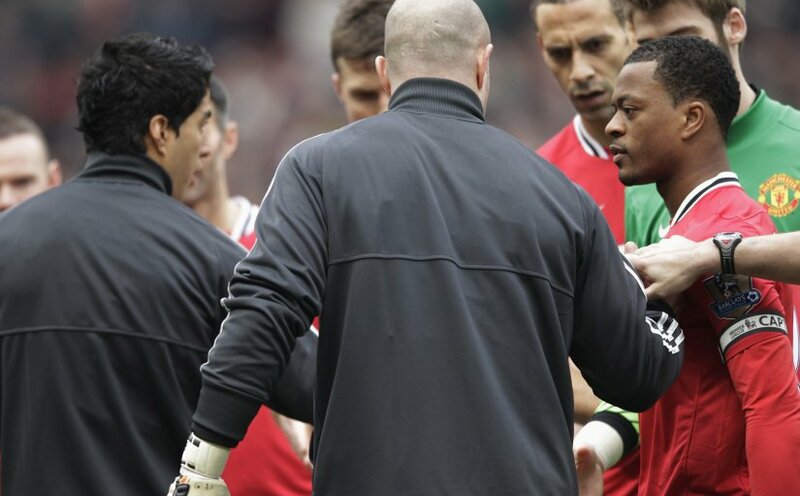 Suarez's first game back was the return at Old Trafford and, with all eyes on the pre-match handshakes, Suarez raised the stakes, deliberately avoiding Evra's outstretched hand. Liverpool manager Kenny Dalglish denied seeing the incident, and laid into a TV reporter for questioning him about it. Wayne Rooney's double earned United a 2-1 win and Evra celebrated loudly. United boss Alex Ferguson called Uruguay's Suarez, who scored 10 minutes from the end, a disgrace. Dimitar Berbatov's hat trick for United, including a spectacular overhead kick, in a personal wonder show, trumped Liverpool captain Steven Gerrard's brace as the hosts headed towards one of their more comfortable title successes. A header from a corner was followed by a stunning bicycle kick. But, as has become a familiar pattern in these clashes, it heralded a stunning comeback as Gerrard scored with a penalty and a free kick. 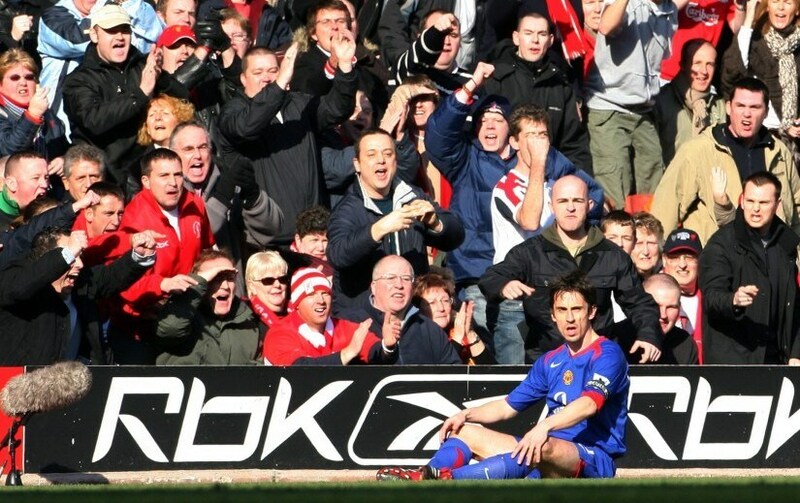 Another header made Berbatov the first United player for more than half a century to grab a hat trick against Liverpool, and earned a vital three points on the way to their historic 19th title – surpassing the record jointly held with Liverpool. 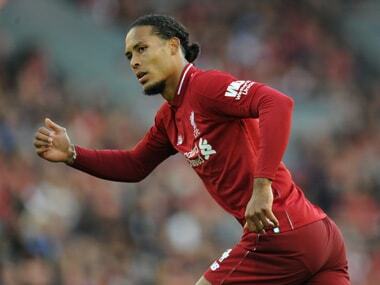 Liverpool still harboured hopes of a first Premier League title, but champions United were the team to beat, and when Cristiano Ronaldo put the home side in front, it looked like another false dawn for Rafael Benitez's side. But Fernando Torres, enjoying possibly his best game for Liverpool, equalised and a Steven Gerrard penalty then put the visitors ahead before halftime, Old Trafford was in for a shock. 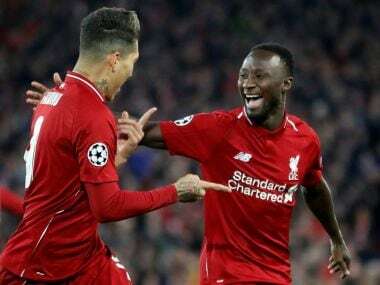 Late goals by Fabio Aurelio and Andrea Dossena, following United defender Nemanja Vidic's red card, put the icing on the cake for Liverpool though United once again had the last laugh, pipping their rivals to the title. Memorable less for on-field brilliance than the festering of wounds opened up by Gary Neville's goal celebration in front of the Kop in their Premier League clash a few weeks earlier. The bad feeling spilled over into the FA Cup fifth-round tie at Anfield, with Liverpool later apologising after sections of the crowd threw coins at United supporters. "I expected abuse, but I also got a hamburger and about 4.50 pounds ($5.60) ian change," Neville said after United's defeat. But there was more unpleasantness when United's Alan Smith broke his leg, prompting taunts from some Liverpool fans, who also attacked the ambulance in which he was taken to hospital. Not for the first, or last, time this high-profile fixture produced a memorable comeback. United, the league leaders, were 3-0 up inside half an hour at Anfield through goals from Denis Irwin, Steve Bruce and Ryan Giggs. But Liverpool, who were eighth in the table back then, hit back as Nigel Clough scored twice before the break and defender Neil Ruddock crowned a stunning fight back with the equaliser 10 minutes from time. United still went on to win the league.